Social Development Minister Nelson McCausland has welcomed the launch of a £25,000 project introducing free Wi-Fi in Newry city centre. Newry has become the latest city in Northern Ireland to offer free Wi-Fi to the public, following an investment of £20,000 from the Northern Ireland Executive through the Department for Social Development and a contribution of £5,000 from the Newry and Mourne District Council. 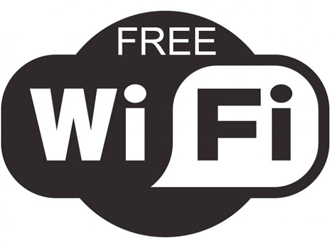 The Wi-Fi is available across the Monaghan and Hill Street area in the centre of Newry. Social Development Minister Nelson McCausland said: “The provision of easy access to digital technology is essential for the future development of our towns and cities. This kind of facility has worked well in other towns and is an extra incentive for shoppers and visitors to spend time in the city centre.